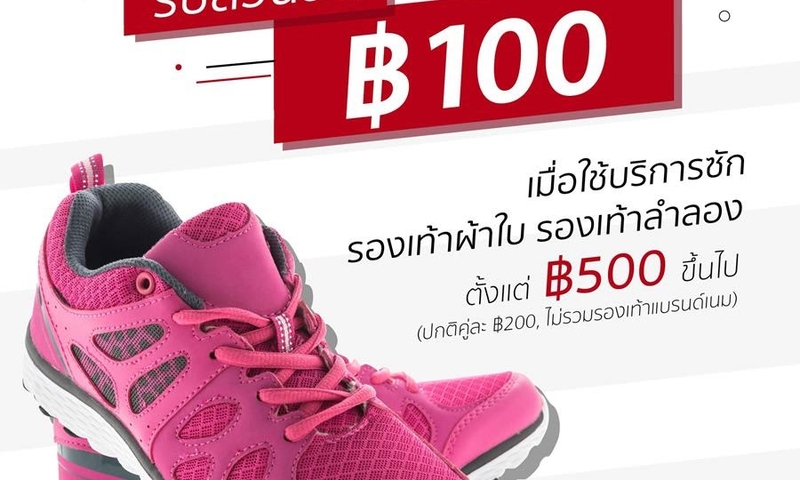 Get ฿100 off shoes cleaning service (normal ฿200/pair, exc brandname shoes) min order ฿500. Use code “SH100”. Today-31 Dec 18.